8 out of 10 travelers do not trust the local agent for booking their accommodation. Because, they are not providing the correct and needed information about the place they wanted to stay. The travelers are in search of the right platform for finding the perfect accommodation while they are travelling. Well, Agriya keenly noted the needs and demands from the travelers view point. 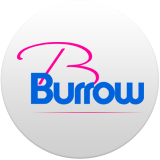 They created a revolutionary airbnb clone script -Burrow which helps the entrepreneurs like you to enter into the commercial vacation rental business within a short period of time. This script not only assists you to establish an online business quickly, but also provides triangular benefits to you, your hosts and traveler. Here, lets focus on how this Burrow script helps you to gratify your traveler with the apt place for accommodation purpose. Travelers are seeking the online resource for finding the right accommodation so that they can get the information instantly without any trouble. This script has an exclusive high performance module which helps to improve the performance of the website. It helps to increase the site consistency, quick loading time and get instant response for the users easily. When the website loading speed is high, it helps the travelers to search out the properties for staying in the convenient place quickly. They will wish to visit the website in future which gives assures that your website will have numerous potential users. Major need of the travelers is to get a safe place for staying. Your website is embedded with the most significant properties verification feature. It helps to validate the properties which are all listed on the website. Property authentication builds trust among the travelers about the host, their properties and about your website. This helps to increase the conversion rate of the website and it also assists the travelers to find secured properties for their accommodations.